Earlier this month we enjoyed a quick escape to beautiful South Beach, Miami. We went to visit with our dear friend, but definitely enjoyed the beautiful views and the surrounding water as an added bonus to our time with him. 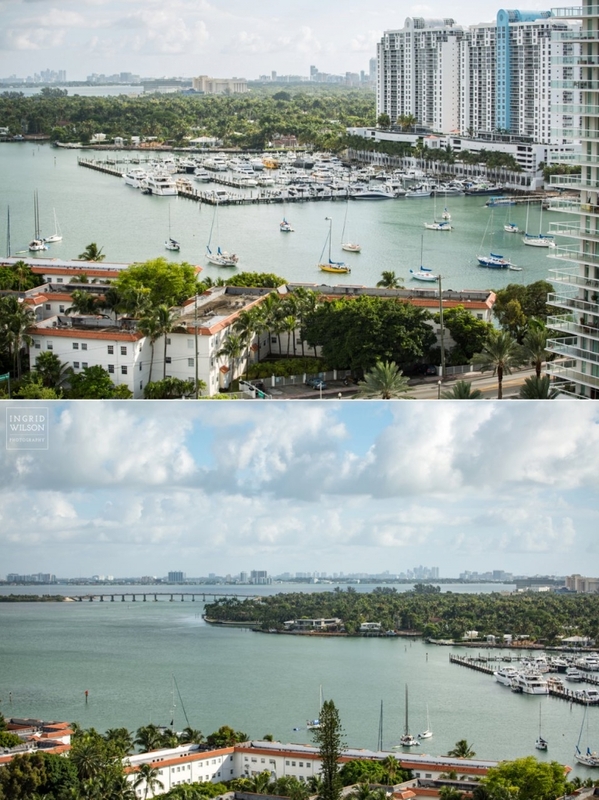 These are the northern views of the Biscayne Bay (above) from his amazing condo on Belle Island. Below is the southern view. The color of the water was so incredible- the boys loved that they could so clearly see the tropical fish swimming below. It brought a whole new element of fun to their fishing. Below is a Parrot fish. We wandered back and forth between the bay and the pool, enjoying the warm tropical breezes and the sound of all the palms rustling in the wind. 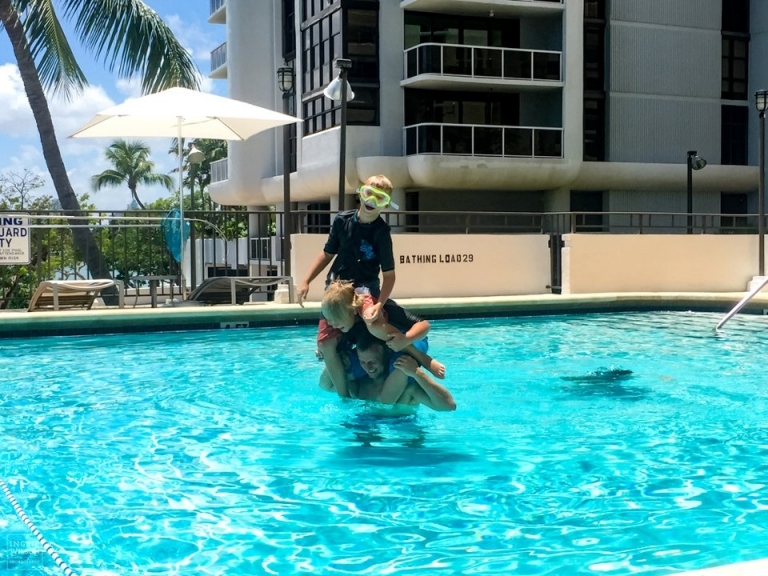 I think this may be the first vacation that we have taken since I could just sit back and watch the kids swim and play without too much worry. Of course there is always the fear that they might kill each other. 😉 I did get in and challenge my boy to a race or two and played a game or two that brought me right back to my youth. Between our times in the sun and water, some condo play, reading, and napping was in order. So peaceful. The boys spent one morning doing some deep sea adventuring and caught a few interesting fish. Below are a bonito and the crazy looking Cornetfish (we think). They also hooked a 6-7 foot shark of some sort, but it broke the line thankfully. It wasn’t the most lucrative fishing adventure but fun all the same. Meanwhile, while the boys were hard at play, the girls enjoyed the peace and quiet of the condo and some simple relaxing. Mylie and I split our time between the beautiful indoors and the beautiful balcony views. She said she didn’t want to ever leave. That same afternoon we walked to the cultural Lincoln Road and followed up the Minions movie with some yummy pizza and gelato. Grant squeezed in as much fishing as he could and literally fished until the sun was gone. We enjoyed a few more hours of bay and pool swimming on our last day before we had to head towards home. What I didn’t capture in pictures was all the sweet time we spent with one of our favorite people- eating his amazing cooking, chatting and catching up on life, and just being together. That is what filled us up the most. We are always grateful for the time we have visiting with him. He holds a sweet place in our family and in our hearts.